Permanent pothole repair in minutes… Hot asphalt for under $20.00 a ton! How would you like to have access to hot mix asphalt year round for less than $20.00 a ton? 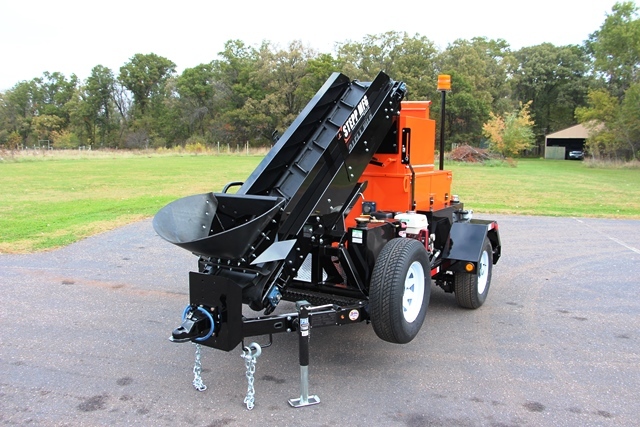 Check out our line of asphalt recyclers! We manufacture the most efficient and effective asphalt recyclers or producing high quality, recycled hot mix asphalt. 24 Hours a day-7 Days a Week 365 Days a year- Make asphalt when YOU need it at any outside temperature! Honda engine with Hydraulic Drive. Beckett Diesel Burner with indirect heat to prevent burning and scorching. Adjustable Tailgate hooks to fit most dump bodies. Simple to use burner timer. Makes a batch in 8-15 Mins. Easily Add Asphalt Rejuvenator Plus ARP (comes in one pound packages and contains 95% straight asphalt, no secret snake oil here just good old fashioned asphalt). Pre-heat bin to get the next batch a kick start. Removable shoveling pan to dispense right onto the roadway. 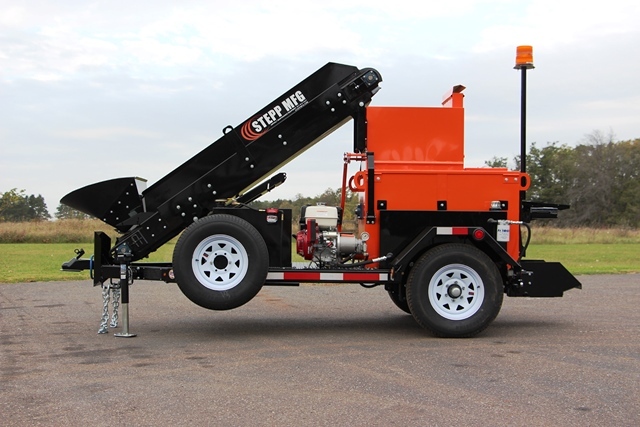 Permanent Pothole repair in minutes…Hot Asphalt for under $20.00 a ton..
Stepp’s SMMT Trailer Mounted Asphalt Recycler is a great solution for instant pothole repairs. The SMMT will produce 500 Lbs of hot mix at 300-350° in minutes. 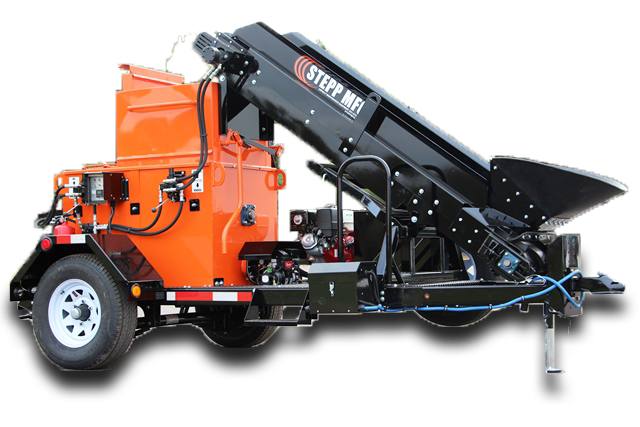 Simply add millings or chunk asphalt into the hopper and in less than 10 minutes you are able to permanently repair your pothole. 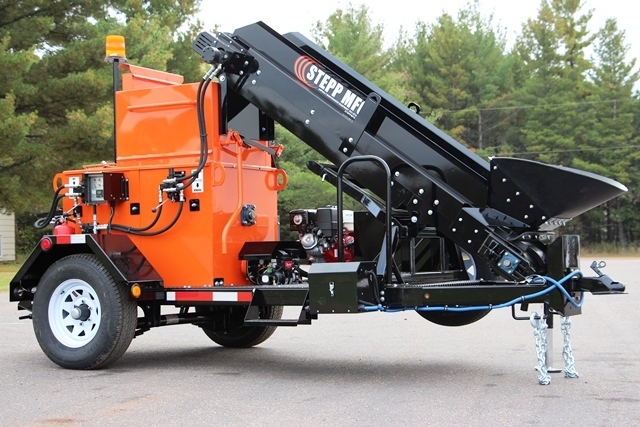 The Stepp Master Mixer is the perfect machine for pothole patching, Mall maintenance, municipality and paving contractors. 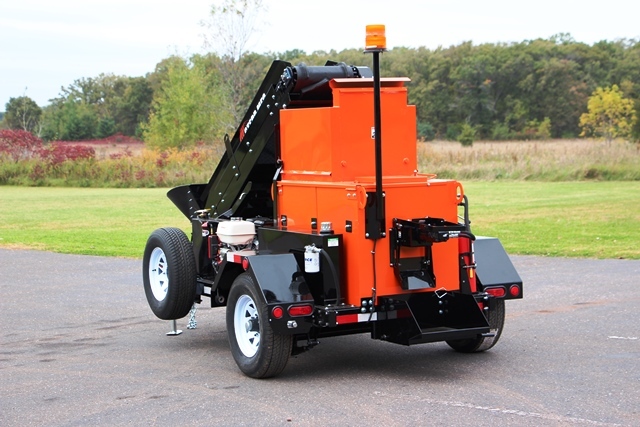 The SMMT Master mixer asphalt recycler can make 500Lbs batches in minutes to provide hot mix asphalt 24-7 365 days a year at any temperature. With the master mixer your repair is a one time repair no more cold patch! . Each base unit includes: Diesel Burner System with Flame-out Protection, Burner Timer, and a Hydraulic Drive Mixer and Hydraulic Driven Conveyor driven by Honda Gasoline Engine. SMMT Asphalt Recycler — 7:04 min. SMMT Demo — 16:49 min.